Resiliency Quiz - How Resilient Are You? How do you react to unexpected difficulties? Healthy, resilient people have stress-resistant personalities and learn valuable lessons from rough experiences. Resilience is the process of successfully adapting to difficult or challenging life experiences. Resilient people overcome adversity, bounce back from setbacks, and can thrive under extreme, on-going pressure without acting in dysfunctional or harmful ways. The most resilient people recover from traumatic experiences stronger, better, and wiser. When hurt or distressed, resilient people expect to find a way to have things turn out well. They feel self-reliant and have a learning/coping reaction rather than the victim/blaming reaction that is so common these days. Before reading further, take this quiz created by the late Al Siebert, PhD. I'm usually optimistic. I see difficulties as temporary and expect to overcome them. I adapt quickly to new developments. I'm good at bouncing back from difficulties. I'm playful. I find the humor in rough situations, and can laugh at myself. I'm able to recover emotionally from losses and setbacks. I have friends I can talk with. I can express my feelings to others and ask for help. Feelings of anger, loss and discouragement don't last long. I feel self-confident, appreciate myself. and have a healthy concept of who I am. I'm curious. I ask questions. I want to know how things work. I like to try new ways of doing things. I'm good at solving problems. I can use analytical logic, be creative, or use practical common sense. I'm good at making things work well. I'm often asked to lead groups and projects. I'm very flexible. I feel comfortable with my paradoxical complexity. I'm optimistic and pessimistic, trusting and cautious, unselfish and selfish, and so forth. I'm always myself, but I've noticed that I'm different in different situations. I prefer to work without a written job description. I'm more effective when I'm free to do what I think is best in each situation. I "read" people well and trust my intuition. I'm a good listener. I have good empathy skills. I'm non-judgmental about others and adapt to people's different personality styles. I'm very durable. I hold up well during tough times. I have an independent spirit underneath my cooperative way of working with others. I've been made stronger and better by difficult experiences. I've converted misfortune into good luck and found benefits in bad experiences. 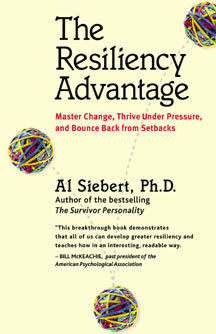 The Resiliency Center was founded by the late Al Siebert who studied highly resilient survivors for over fifty years. 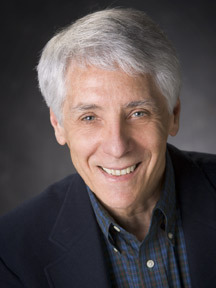 He authored the award-winning book The Resiliency Advantage: Master Change, Thrive Under Pressure and Bounce Back From Setbacks (2006 Independent Publisher's Best Self-Help book), and best seller The Survivor Personality: Why Some People Are Stronger, Smarter, and More Skillful at Handling Life's Difficulties...and How You Can Be, Too. If you are interested in using The Resiliency Quiz in your own organization, please see our sister page at Practical Psychology Press for pricing and usage information. (Also available in French, Spanish, and German language versions.) Thank you!